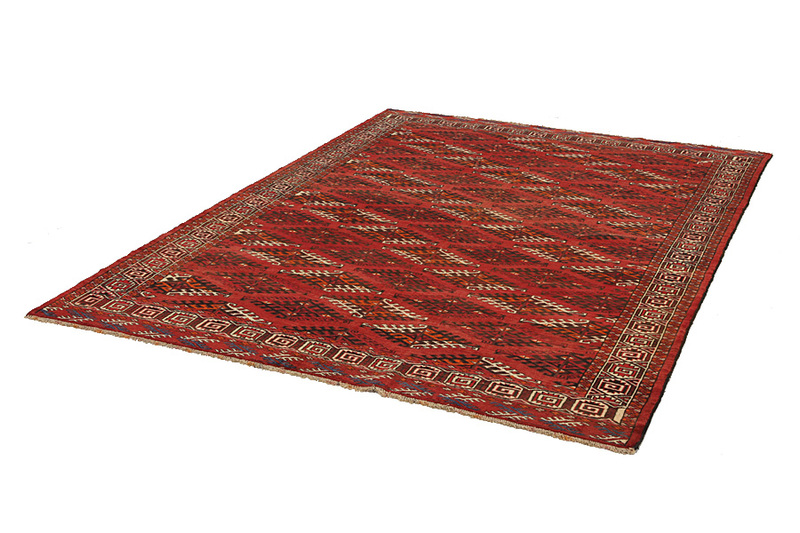 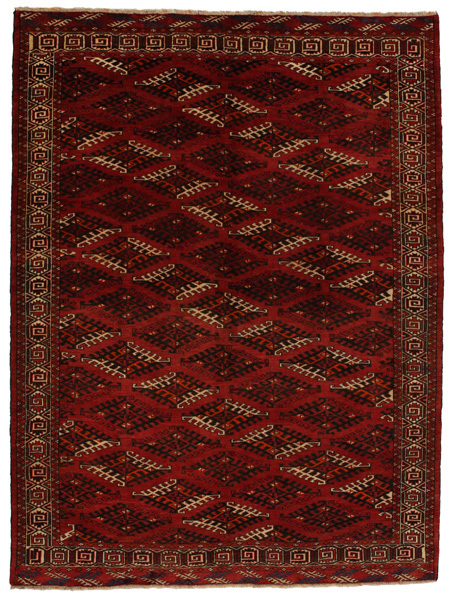 Bokhara Carpets : The Bokhara carpets are woven in Belutchistan and in different regions of Uzbekistan, Turkmenistan and Afghanistan. 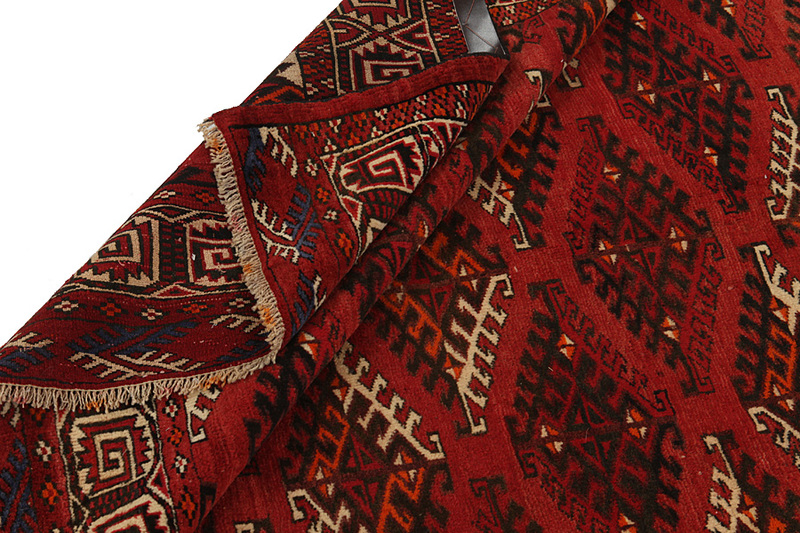 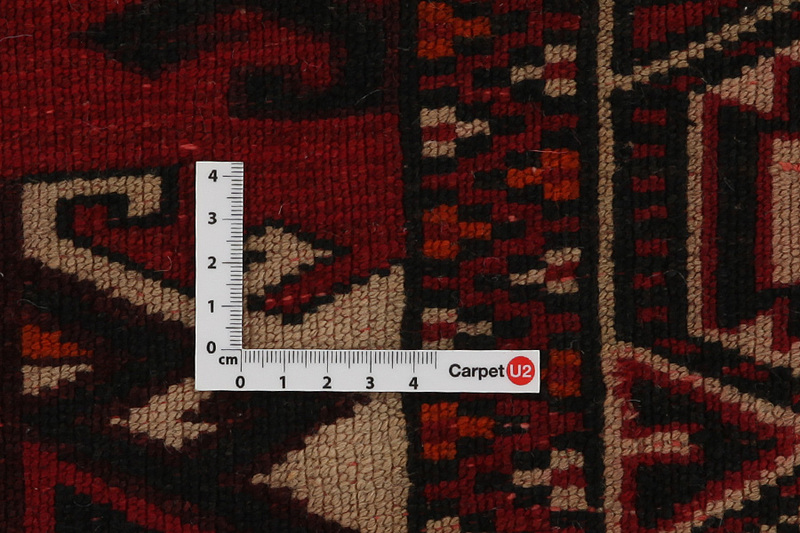 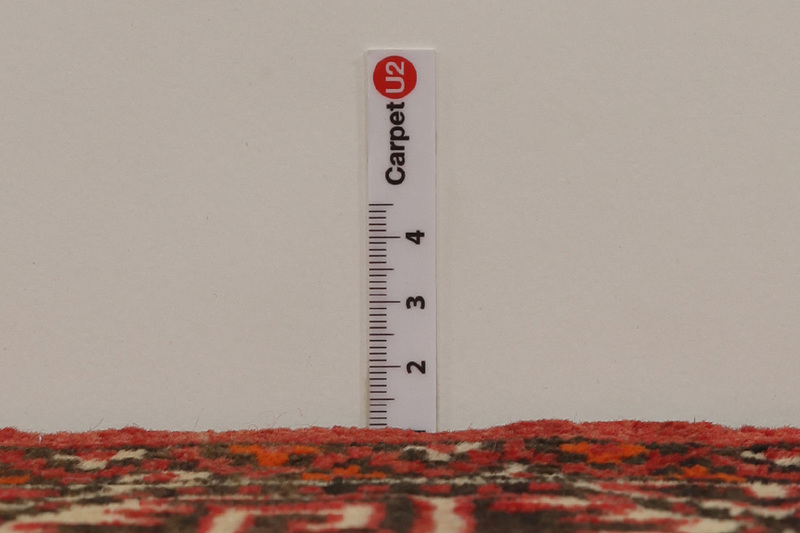 Turkmen carpets include Basjir, Salor, Tekke-Bochara, Jolam-Bocharaband, Ersari, Tjaudor and Yomut which are examples of the carpet style called Bokhara. 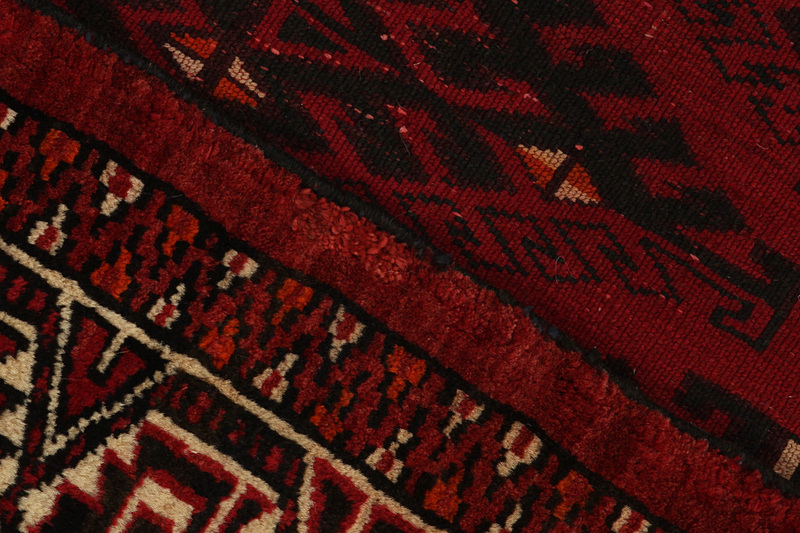 Some areas of Turkmenistan where carpets are woven are Ashkabad, Bakharden, Geok-Tepe, Kizyl-Arvat and Merv. 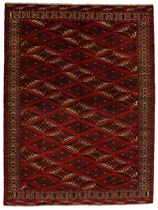 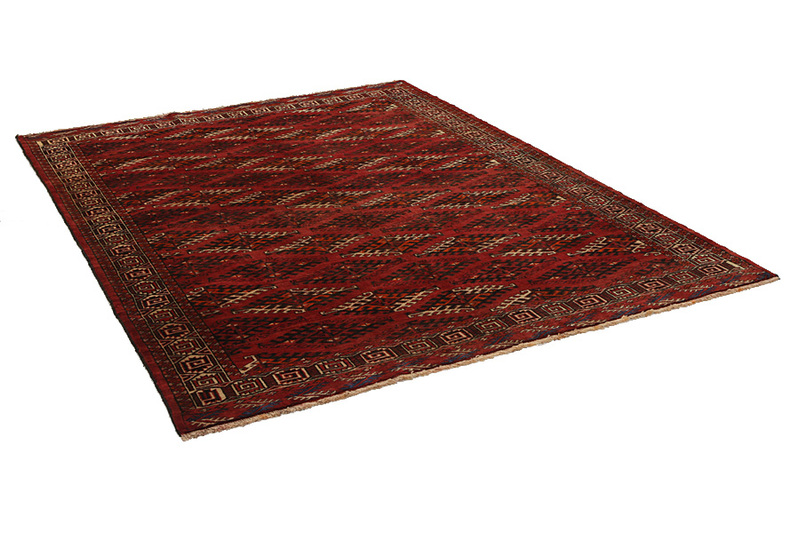 The deep red and the whole range of red from purple to brown are the dominant colors with repeating octagons, rhombi, yomut motifs being characteristic of these carpets. 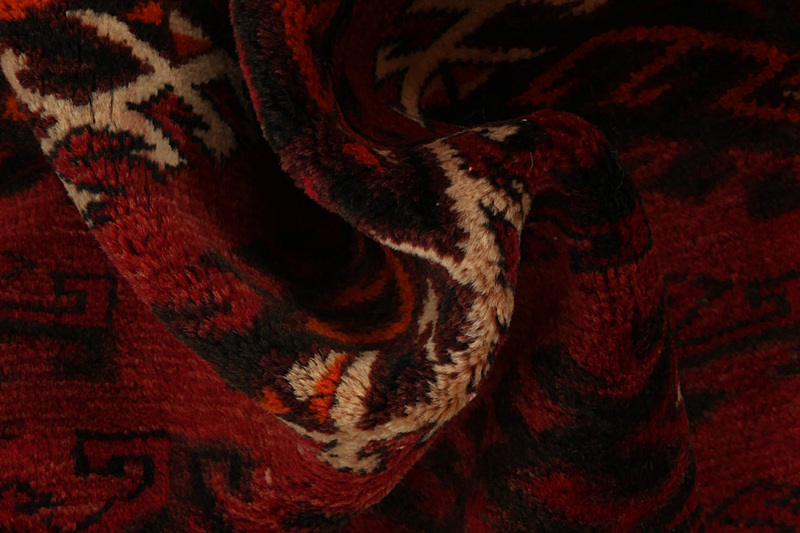 The warp of the carpets is always wool.